Was he just a rebound gone wrong? 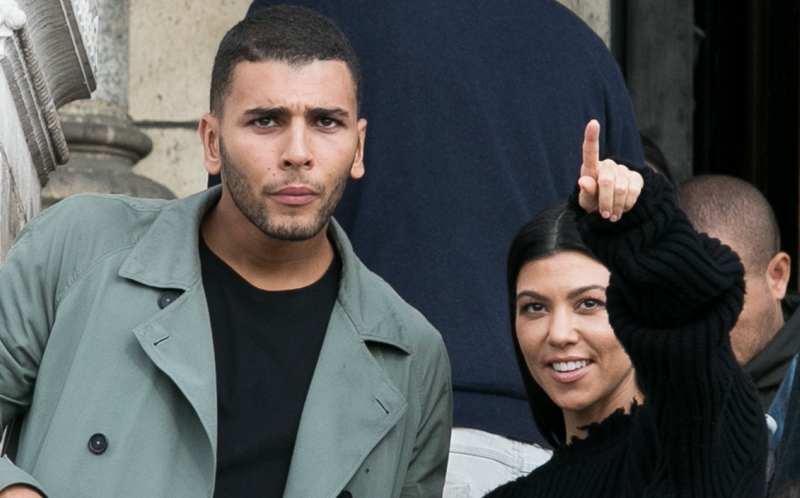 On Aug. 7, news broke that Kourtney Kardashian and her boyfriend of over a year, Younes Bendjima, have called it quits. Basically, Younes was spotted getting handsy with some random woman in Mexico, which in and of itself doesn’t prove anything. However, after Kim Kardashian and Khloé Kardashian went after the 25-year-old model on Instagram, it became pretty clear that he and Kourt were donezo. That said, sources are now suggesting that the mother-of-three was never all that serious about him anyway! In fact, she may have just been using Younes to get over her baby daddy, Scott Disick. “Younes was always supposed to be a rebound,” a source close to the KUWTK star revealed to People. “Kourtney doesn’t play games. She seems okay with [the breakup],” the source added. We know what you might be thinking: “Didn’t they just take a month-long vacation in Europe together?” Yes, but apparently that was the beginning of the end for the pair. “As soon as their long European vacation was over, they started having problems. Younes was in LA recently and things were not great. He and Kourtney didn’t get along. They decided to take a break but were not officially over,” the source continued. “Now with the pictures of Younes in Mexico, they are definitely not getting back together,” the source expressed. Well, this just goes to show that not all men are boyfriend material, ladies! Speaking of boyfriends, does this mean that Kourt and Scott will continue their on-again, off-again romance now that she’s single again? It’s possible! “We always said we’d try to get back together when we’re 40,” Scott revealed on the Season 15 premiere of KUWTK. OK, we know that Kourtney and Scott have always been a bit dysfunctional but TBH, they’re total endgame material. We really hope that they can make it work again for the sake of their three beautiful children!